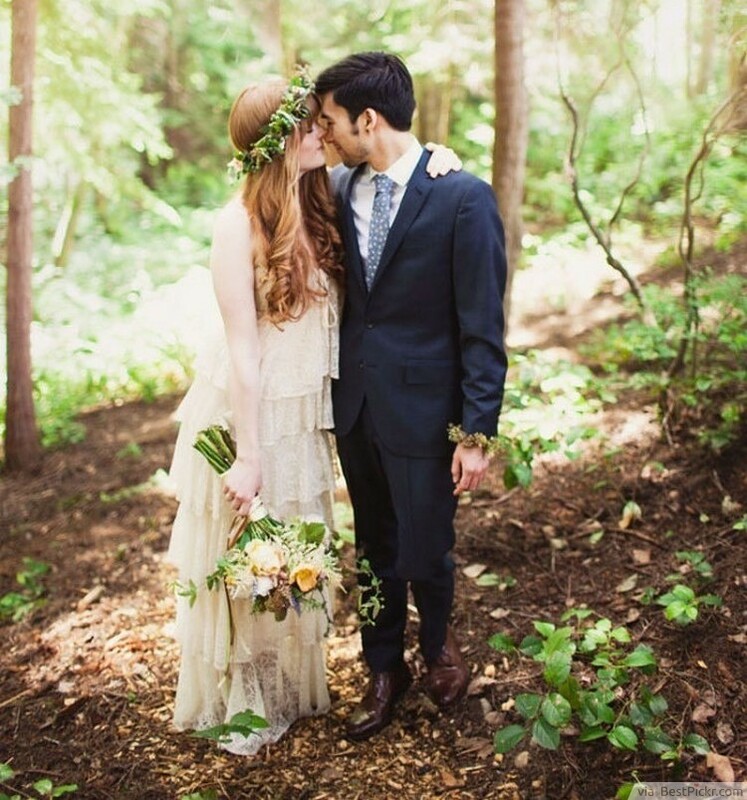 A wedding should have two things: hearts and flowers. Since the two of you cannot share your hearts with the guests, you can share the flowers! Why not have an outdoor wedding venue in a botanical garden where flowers are beautifully blooming? Not only will the venue calm your mind from the stress of wedding preparation, it will also be perfect for picture taking! 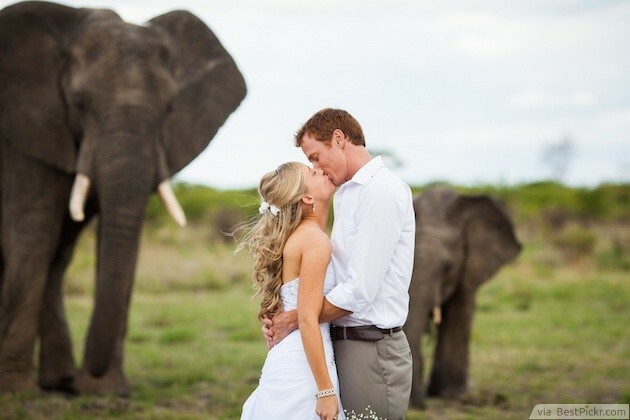 Get close to nature by holding your wedding at a safari park or zoo. This is a wonderful idea for any couple, especially animal lovers! You will be able to get up-close-and-personal with the animals, who will make for some unforgettable wedding guests! In addition, you will be able to have a lot of fun with the photographs at a safari park wedding, which just makes it an even more brilliant venue! 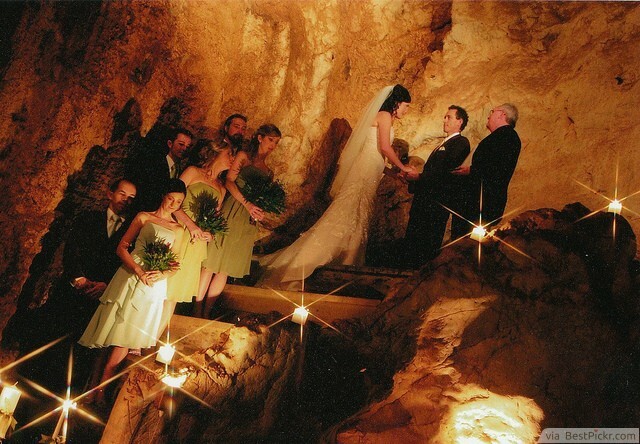 Unexpecting guests will be amazed if you hold your wedding reception underground! It may sound impossible, but caves and grottos are incredible places which actually work really well as intimate wedding venues. This really is a unique idea which will make your wedding extraordinary! This idea for a wedding reception venue is absolutely awe-inspiring! 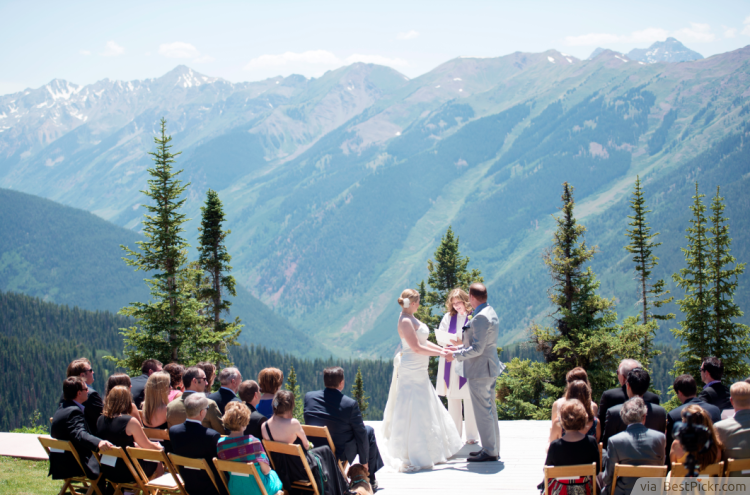 The chances are that your guests won't be expecting you to hold your reception high in the mountains, so it will take their breath away. During the summer months the views will be stunning in their own right, but if you're willing to brave the cold during winter, snowy mountains make a spectacular backdrop for a romantic wedding. Outdoors weddings are very popular, but holding your reception inside a wooded or forest area is a slightly different take on the typical. This idea has so much potential to turn it into something very magical and beautiful; your guests will be surprized at how you're able to turn something so natural into something so amazing! 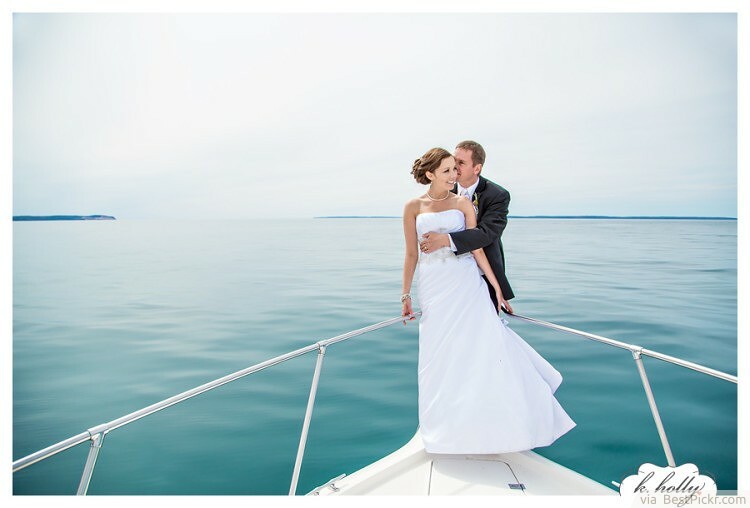 Hire a boat for the day to celebrate your wedding in the middle of the ocean. You can either opt for a classy, sophisticated, formal affair, or a livelier party atmosphere, but one thing's for sure: both you and your guests will be blown away by the beauty of the open expanse of blue water. As the couple getting married, you will take center stage throughout your entire wedding day. 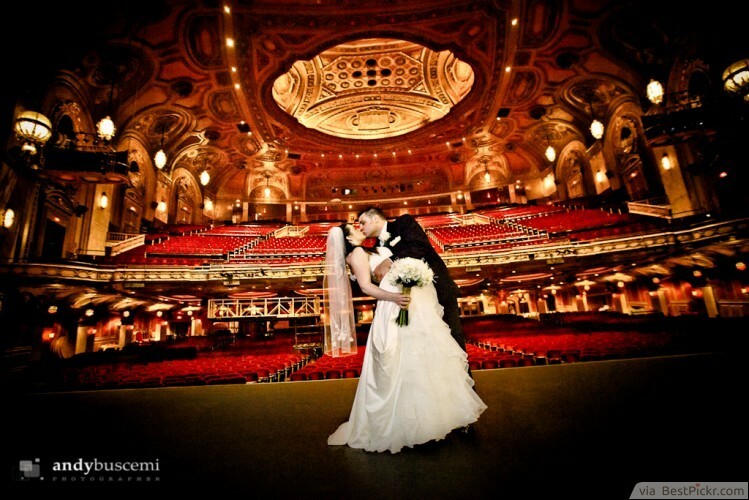 Why not do so literally, by holding your wedding in a theater? All eyes will be on you as you take to the stage to say your vows; you can follow the ceremony with a fabulous reception in luxurious surroundings. A theater is such a unique venue that your guests won't be expecting it, but it will be something truly special! 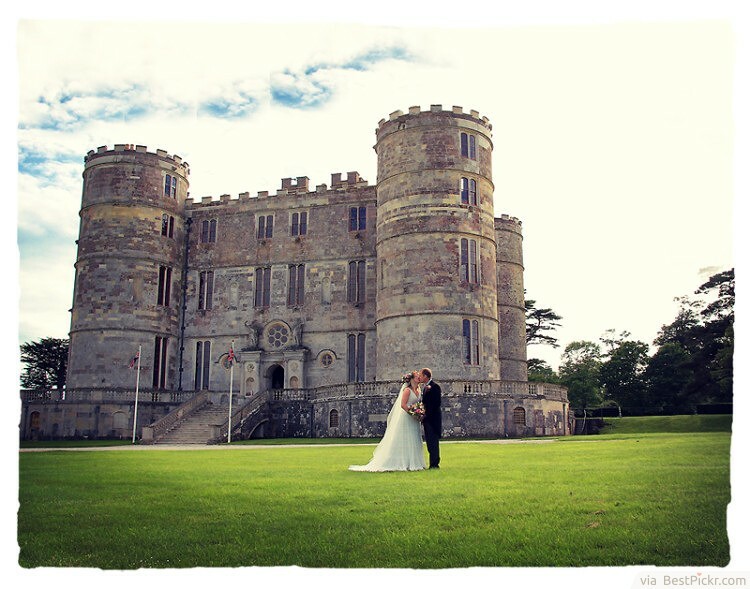 Any bride can feel like a true princess by choosing to get married at a castle. Guests will marvel at the ornate rooms, the glorious surroundings and the overall extravagance of the location. 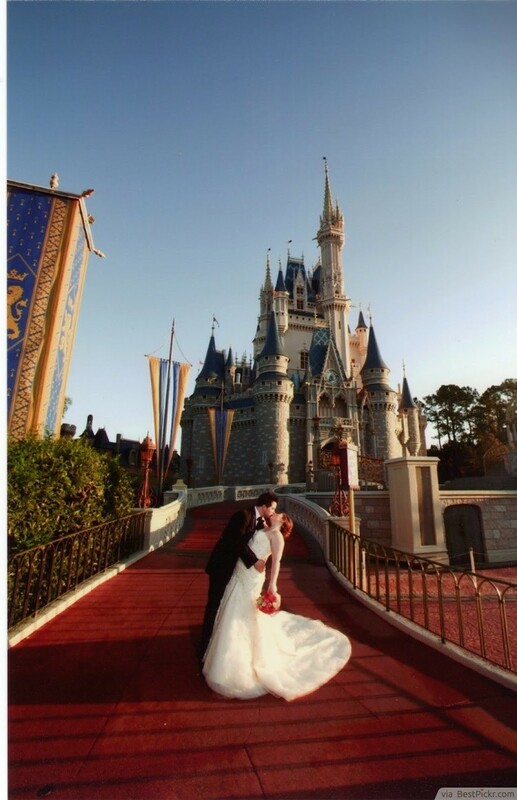 Of course, aside from the pride and novelty at being able to say that you were married at a castle, the resulting photographs will be spectacular! One wedding reception venue that your guests certainly won't be expecting is your own home! If you're lucky enough to own a piece of land that's big enough, using it to hold your wedding reception is a brilliant idea. Not only is it cheap, but it's familiar, and you'll be able to celebrate at a location that means a lot to you. 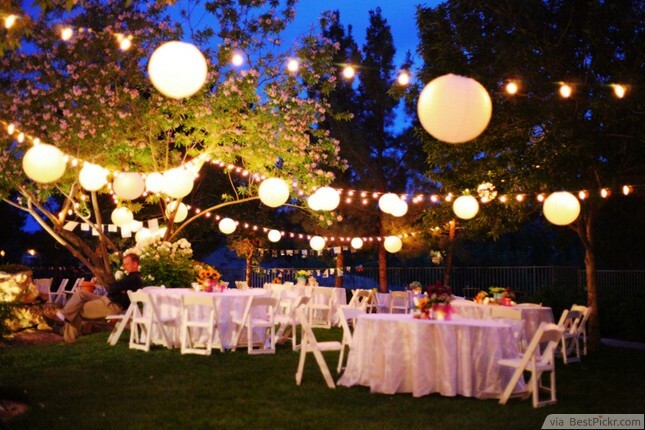 There are no restrictions on how to decorate it or what types of food or entertainment to include, so your own backyard is the perfect place to hold the wedding of your dreams! It may be awkward to have a wedding under the sea, but that does not mean you cannot have the oceanic fun! Unsuspecting guests will really smile the moment they read where your reception will be. 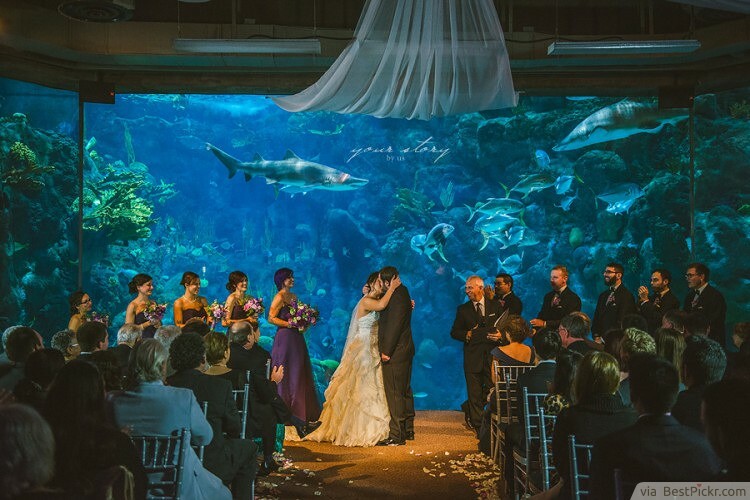 But they will be stunned to see that an aquarium reception is one of the most perfect places to celebrate the wedding. 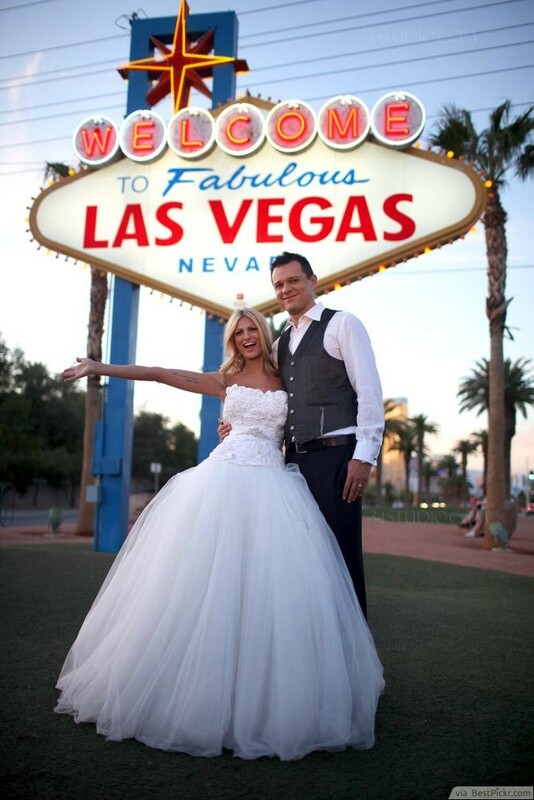 Surprise your guests by holding your wedding reception at a famous landmark that they'll all recognize. Las Vegas is an obvious choice, but there are so many others around the world that you could choose from. International brides could choose somewhere like the Eiffel Tower, or for somewhere closer to home pick a landmark in your capital city. Holding parties under a huge tent is not an uncommon practice. 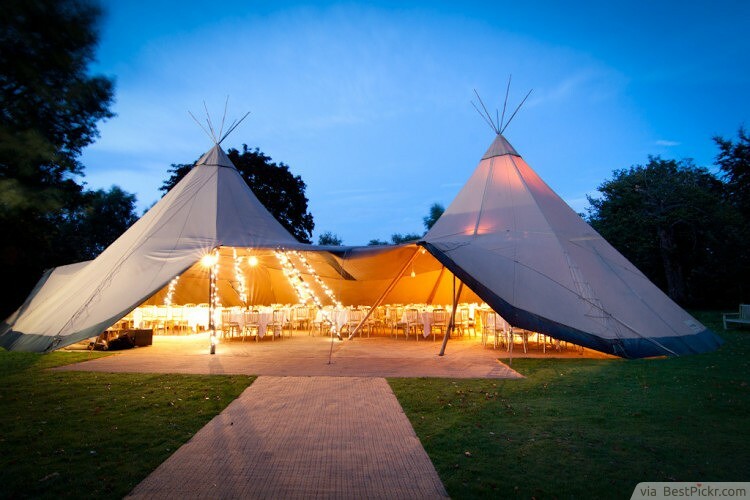 Huge tents give an adventurous feel to the event, and it also makes you appreciate the outdoor setting while being protected from the weather. It all comes down to arranging the interior. With proper lighting and decor, your wedding will be solemn as well as fun.